Northside Trophies and Awards was started in 1987. The current owners, Dave and Robyn Gromeder, took over ownership in January 1999. In 2019 we will be celebrating our 20 th Anniversary. Our shop is located at 140 Young St. in St. Jacobs. 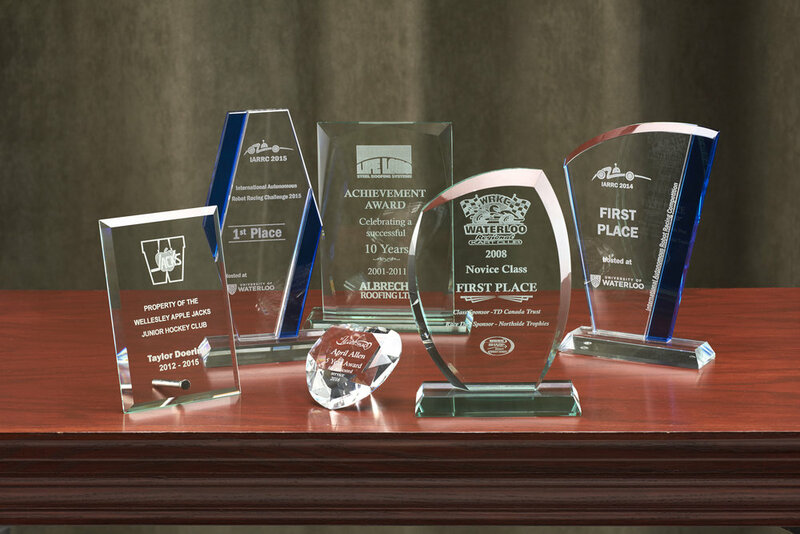 Northside Trophies is a family-owned and operated company, specializing in awards and recognition products, corporate awards, glass & crystal, commercial plates, name plates, name badges, interior signage, and custom and stock medals, lapel pins and ribbons. welcome as much or as little input on your behalf, as you wish. Take a look through our catalogs and contact us with any questions you have. We always welcome the opportunity to work with new and existing customers!